DONATION CONVERSION. In July, the American Red Cross declared an emergency blood shortage — it simply wasn’t receiving enough donations to help all the patients that needed blood. Now, researchers from the University of British Columbia may have found a way to address the problem, even if people aren’t donating more: convert a less-usable blood type into one that anyone can receive. YOUR TYPE OR MINE? Blood types are different because of the sugars on the surface of the red blood cells the body creates. Type A has one type of sugar and Type B has another; Type AB has both sugars. Type O doesn’t have any sugars. If a person receives a blood transfusion of a blood type that’s not their own, their immune system will attack and kill the donated blood cells. For example, a person with Type A blood could never receive a Type B donation because their system would simply reject the new blood because the sugars aren’t quite right. Because Type O blood doesn’t carry any sugars, anyone can receive it — it’s the universally accepted blood type and, therefore, highly desirable. ENZYMES TO THE RESCUE. In the past, researchers figured out that certain enzymes (molecules that cause chemical reactions) could remove the sugars from A, B, and AB blood cells, converting them into the more useful Type O. However, as researcher Stephen Withers noted in a press release, they hadn’t yet discovered an enzyme that was efficient, safe, and economical. Their search for that enzyme took them into the human gut. TESTS AND MORE TESTS. For now the researchers are double-checking their findings. The next step would then be to test the enzyme in a clinical setting, which will help determine if the conversion process produces any unintended consequences. All that extra testing that could still take some time. 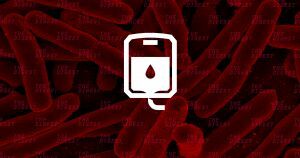 But Withers is optimistic that his team’s enzyme could be just the breakthrough we need to ensure anyone who needs a blood donation in the future will be able to receive one.